Grab this Office Chair MAT for only $5 with Amazon.com Prime and code from gleam at bottom of blog post. PERFECT FOR HARD FLOORS - This mat is suitable for both hard floor surfaces (including wood, laminate, tile, stone, vinyl), but it does not for high and medium pile carpet. ANTI-SLIP - Low friction and smooth material allows for smooth gliding motion, while still providing enough grip so your chair doesn’t slide around. PROTECTS FLOORS- Protects floor surfaces from chair casters (wheels) and chair legs. Great for hardwood, tile, laminate, linoleum and concrete. LIP SHAPE – The extended “lip” shape covers the floor under your desk and protects the floor when your chair is fully pushed in under your desk. 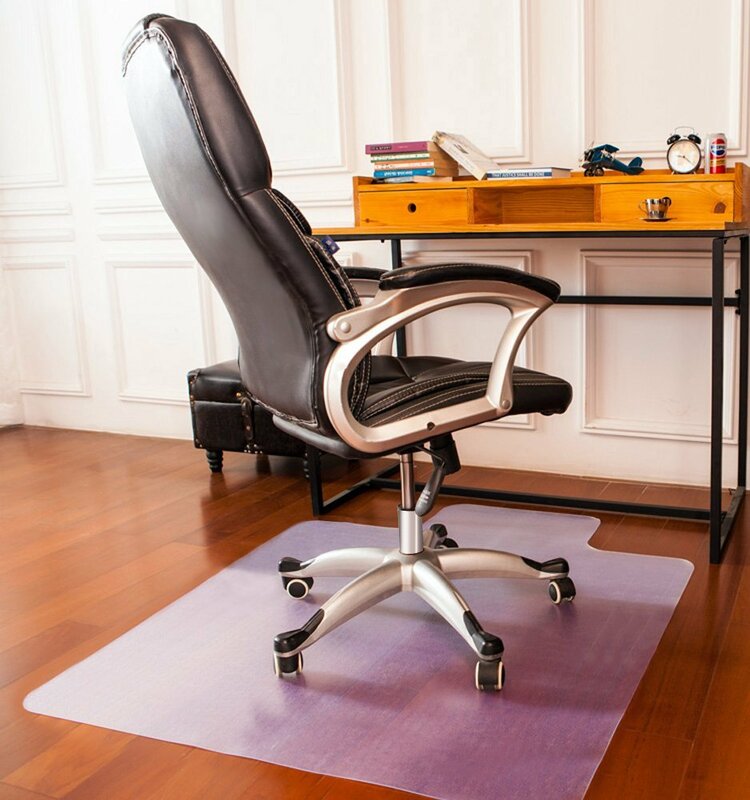 erit;">DURABLE & EASY TO CLEAN - These chair mats are composed of Eco friendly materials, which are durable and sturdy yet very pliable to prevent cracking or shattering. Also very easy to clean. 3. The mat’s material is both super-durable and very easy to clean.